The laboratory proposes an immersion in the universe of the theatrical mask exploring sculpting techniques such as the manipulation of plaster, modeling in clay, cartapesta, wood carving and leather pull. Investment: u$d 830 (International students can pay bank transfer, credit card or the first day of the course). Theater students; actors; dancers; clowns; performers; visual artists, set designers, custom designers, aderistas. 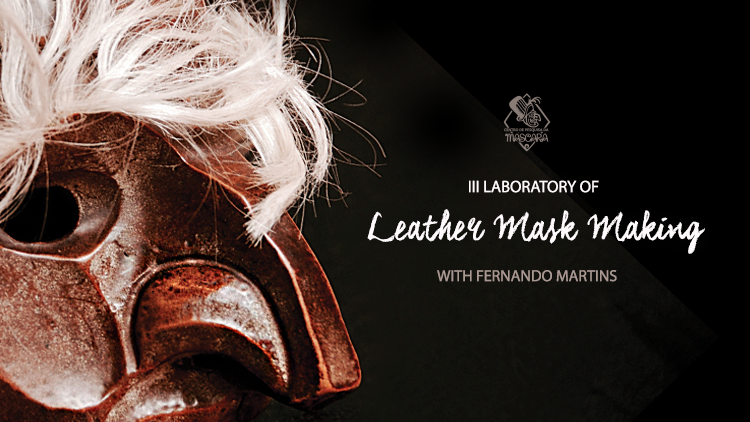 This Laboratory of international character comes to fill a gap existing in the development of artists of the most varied areas of our continent: the creation and confection of the mask in leather. The uniqueness of these masks is due not only to their functional and organic characteristics – to the actor who takes them as a second skin – but also to the wide variety of materials and techniques involved in their production. For no other reason, leather was used as raw material by generations of masked sculptors from the commedia dell’arte to Amleto and Donato Sartori, as well as by actors from Tristano Martinelli to Dario Fo. The starting point is the problematization of the mask element in the history of communities and their unfolding in human life. The aim is to understand how it has been established in theatrical production since its origins. After analyzing their phenomenology, participants will be prompted to design and create their own masks by drawing, sculpting, and studying a context in which the character / mask is inserted. From then on, sculptural techniques will be revisited, among which the modeling, the reproduction of mold and countermold, papietagem, carved in wood, repudiates in leather so that each participant can produce a theatrical mask in cartapesta and another one in leather. In the process of sculpture are approached fundamentals of the three-dimensional structure, the morphology of the mask, methods of reproduction in plaster and exploitation of materials. Finally the masks are placed in a situation of play through exercises of improvisation and creation of small scenes. Introduction to the mask theme: historical-anthropological approach. Introduction to the main types of theatrical masks. Mask and space: idealization of the space in which it will be used. Mask and light: idealization of the incidence of light in the morphology of the mask. Mask and dramaturgy: creation and analysis of the dramaturgical conditions from which the character emerges. Mask and character: elaboration and analysis of the psychological and physical characteristics of the character. Notions of primary and secondary states. Notions of mask and countermask. Elaboration of studies through drawings. Elaboration of studies with sculptural materials (clay and resins). The clay: experiments with material. Execution of the sculpture: modeling in clay. Reproduction methods: molds in plaster. Introduction to the technique of the cartapesta: the papietagem in negative. Bonding and pressing the layers of paper. Emersion of the model and point 0. Introduction to the use of the ax. The choice of leather for each mask. The inner part of the mask. Wrapping it up, paintings and patinas. 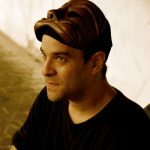 Introduction to the usage of mask. Scenic exercises with masks performed. u$d 830 (International students can pay bank transfer, credit card or the first day of the course).